We've been mucking around with Laneway predictions since June. Now that the Australia lineup is going to be released this week (for us to better guess who will make it to Singapore), we will all be exhaling a collective sigh of relief. Or not yet. These are just our predictions and we really have no idea how things will turn out. The final announcement for the Singapore lineup will only be in four weeks time, so it's still wishing and hoping for now. 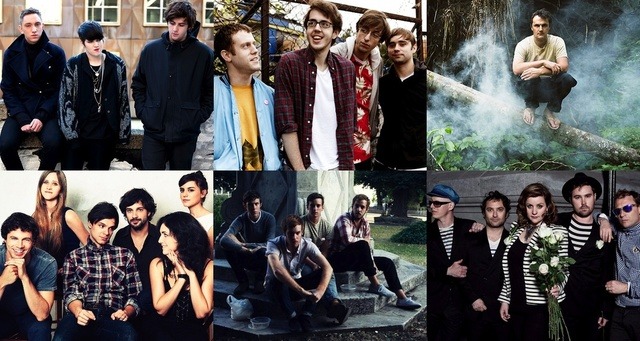 Update: Check out which of our Aussie Laneway predictions turned out to be true! [Delfina] I come frontin' as the 'heart' part of this equation. While Ilyas plays Bill Nye The Science Guy when it comes to Laneway predictions, I'm going to play it fast and loose. Sorta like Bill Nye The Science Guy vs an episode of Adventure Time. Heads up, he'll be dropping some vocabulary bombs (show-off). You don't need no dictionary for Adventure Time. Jessie Ware [Confirmed] So it has been confirmed that Cat Power is not coming. It was major sad face on for me as I checked the Laneway tweet. But apparently (also from Twitter), the ladies take centre stage for Laneway 2013. Such a big clue. Or not, considering that there are 3 billion women in the world. Anyhow, it's on the blogosphere grapevine that this SBTRKT singer is a done deal for Laneway. Never ignore the whispers. The whispers, the whispers, it's on the forums, a trusted friend from London 'confirmed' (although Laneway is Australian). Plus: had great dance album, so great material for a music festival, they suit the Laneway 'mould' and it's totally legit to fly from Vancouver, Canada (last shown tour date on their website) to Singapore, South East Asia. Swing Lo Magellan was a great 2012 album, they have lady singers in the band (remember hint: 'the ladies take centre stage') and Pitchfork loves them and so does the Laneway-esque crowd so this makes them worthy headliners. Plus have you not read anything online about how good they are live??? This has to happen. Featured as an upcoming act to look out for on the Laneway website, talked a lot about on the interwebs pertaining to the Laneway lineup and a girl in the group. A quick check at their tour dates also look promising. So apparently they had a catchy song called 'Forever' and apparently they were also featured on the Laneway site, so okay Haim, they seem to like you. Okay, you can have a spot. Last year in August, I remember listening to M83's 'Midnight City' while working on my thesis and wanted nothing more than to dance with friends, that song being played live. I was more sure of them being at Laneway than me on completing my higher studies. And ta-da. I feel the same way with Wild Nothing. Like I said earlier, I am the heart part of this equation so there's some allowance for sentimentality. Wild Nothing should be at Laneway I feel, because Nocturne is possibly the best album of 2012. They are also Laneway crowd-friendly. And I also really like their music. "They'll need a Laura Marling type," said a friend. I thought of Lucy Rose immediately. The short answer to 'Who is Lucy Rose?' is: that female voice you hear in Bombay Bicycle Club. Armed with a new album this year and that her last tour date for 2012 finds her in the UK in December, means it is still quite possible that she may hit the Laneway Festival circuit in January. A lot of talk on the internet, their album Oshin was well received, and that they haven't toured this way yet. [Ilyas] While Delfina's off using her emotion and feminine intuition to predict the Laneway lineup, I'll be employing the science of deduction and analysis and hopefully Sherlock my way into a precise prognosis. My sources of verisimilitude stem from various internet forums, patterns of repetition from the Laneway Festival Wikipedia page, Facebook page, Twitter feed, maps, band touring dates, etc etc. Quite empirical I must say. Huzzah! Let's now narrow down the list of possibilities for the lineup. It's already September now, so the potential acts should have already announced (officially or accidentally) their tour dates, and in this case, any Australian touring dates. Most of these acts are from the other side of the world - Canada, USA, Europe. It'd make sense to make their plans official now if they were to travel all the way to the other side of the globe just to play. Then again, it is possible that the bands were sworn to secrecy and had a blood oath taken. They have new albums (duh). That's the only reason why bands tour - they have to promote their latest record. As such, they'd have played at some festivals already. Proof: Japandroids and Purity Ring played Pitchfork Music Festival in July, among other ones. The organizers have mentioned two seemingly important elements - that next year's lineup is where "the women take the stage" and that it's a "dream line-up". Potential acts should have some sort of womanly component and of course, they have to be quite in demand. We shouldn't be expecting genres straying far from indie rock. Don't expect hip-hop acts to be included in the Laneway roster, or at least for the Singapore stop (even though A$AP Rocky's been getting some mentions on their Twitter feed). Definitely no electronic acts for the Singapore stop as well, but for all we know next year might be different. Sure would be nice to see Four Tet or Flying Lotus coming down to play at Fort Canning. Singapore is the first stop of the Laneway Festival. Logically if you were part of the line-up you'd have to be touring Australia after that. Remember that the main meat of the festival is Australia - the only reason why the band is selected to play is because they haven't toured the country yet. 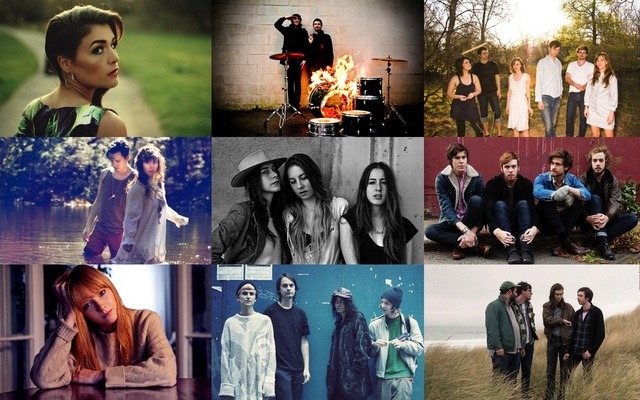 It's a given that the acts already listed on the Laneway Festival website will be coming. Expect the likes of Japandroids, Purity Ring, Jessie Ware and Haim in the roster. Right, let's get to the predictions proper. Most probably. They did appear in Laneway Fest '10 and just might make an appearance next year, seeing that Coexist just released. Judging from the love they're getting from the people of Laneway (or at least the dude who handles their twitter account), and how it coexists (sorry guys) with their Australian plans, they might just be one of the headliners at Fort Canning next year. Indie rock favorite Dylan Baldi's project got rave reviews on their latest, Attack On Memory, and just might march on towards a spot in Laneway Festival, judging from their tweet. It's still an optimistic "hopefully" though, nothing sounds concrete. Likely? Yes. Another very likely candidate is Phil Elverum's drone-y project Mt Eerie, who just released not one, but TWO great LPs this year. Can't really imagine how his dark tunes might fare in a huge open air festival like Laneway Sg but it does seem likely. Look at his Australian tour dates. I'm a bit shady on this one, but it's a possibility. The last time they toured Australian was sometime in 2010 for Bitte Orca, and they'll be sure to plan a tour there sometime early next year. If they are, then it'd be wise to go for a festival bill just like Laneway. They've been touring quite intensively over the last few weeks, and the last stop says Carnegie Hall, New York on January next year. It's a 50-50; they might stop there or carry on their tour in our side of the world. Very shady, but it's another possibility. They'll be touring heavily for the next few months, including places like Germany, Sweden, UK and even Ireland. Dublin was last on that list, and if the Shoegazing Gods are on our side, Jack Tatum and friends might just swing by. And they should; Nocturneis already a contender for album of the year. Again, another shady one. The last time they were in the Laneway lineup was a very long time ago in '08. Seeing that they haven't listed any Australian tour dates, it's a strong probability that they're coming back for the festival. This should please a lot of fans here who were STARStruck (I'm really sorry) by their set here back in '09. Grimes, Grizzly Bear, Beirut, Animal Collective, St. Vincent, First Aid Kit, Bombay Bicycle Club, Best Coast, Beach House, Sharon van Etten, Sleigh Bells, Four Tet, Chet Faker - [Confirmed], Band of Horses, et. cetera. How sad. But then again, when has Laneway Festival ever disappoint. Let's congregate again on Wednesday for the final announcement, and again in another month for the Fort Canning lineup. Till then, who is on your prediction list?